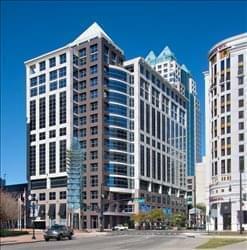 Find My Workspace lists over 95% of the executive office suites market in Orlando. Simply click Request Quote to check pricing for one office, or Add to Basket for multiple offices. Do you need a quiet place to work or a professional location to meet clients? 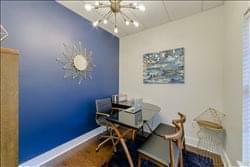 Lovely private office space includes a desk and comes furnished and included in the rent! $650 per month plus conference room that can be reserved or rented by the day. Flexible terms are available to ensure that your company can select the perfect fit for them. Perfect location in East Orlando, situated near 408 for easy commute. Free utilities and free high speed internet are standard at this located in order to create hassle free lease options for all. This center strives to provide the essentials so that businesses can focus on growth. 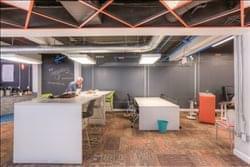 This center is a shared workspace for creative minds of business owners and companies. This center is designed for entrepreneurs and start-ups looking to grow. Stop in and let the on-site management team discuss your options for you and your team. You will not be disappointed. There is a large lounge area to host events for up to 100 guests. Memberships vary from co-working to private office options. This center offers amenities from fully equipped technology, meeting rooms, high speed internet, weekly events, secure 24-7 keycard access, centralized cafe & lounge. Build long last relationships with the individuals here. Orlando, Florida - S. Orange Ave.
All Amenities include on-site fitness center, dry cleaning, bike storage, and cafe. The bright interiors and panoramic views at Lincoln Plaza. Professional conference rooms, modern common spaces, a mother’s room, and private phone booths. This center is a thoughtful design with exceptional attention to detail. This centre offers a flexible coworking space to all types of businesses, startups, freelancers, and entrepreneurs. The office is located in the heart of Downtown Orlando and is within walking distance of several local businesses, restaurants, nightlife, and public transportation. From the fifth floor of the building, there is a bright, open space to inspire you and your business. Offers a variety of different memberships and workspaces to suit your needs. In addition to memberships, it also encourage community and collaboration through introductions to wide array of businesses, monthly networking events, and resources to help you grow.